A plastic-free scrubbing brush, with plant-based bristles. From natural, sustainable materials. 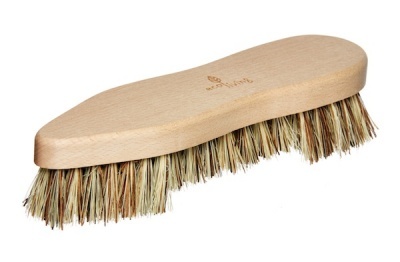 A plastic free scrubbing brush, with plant-based bristles. Suitable for cleaning/scrubbing jobs around the home, removing stubborn stains from hard surfaces and hard floor areas. A natural scrubbing brush with stiff Union Fibre bristles. Union Fibre, is a mixture of Tampico (from the agave cactus) and Palmyra(from the base of the leaf stalks of the India palm tree). The handle is made from locally grown beech wood. The beech wood is FSC certified in accordance with the strict guidelines of the Forest Stewardship Council.